Threading through the festival theme we will be continuing our disruptive activities with an interactive piece you can get involved with, cutting collage and sketching your protest with help from acclaimed street artist and all round legend Swifty, ably assisted by local creative/artist Tara Collette. Paper, craft and making brought to you by G . F Smith. Honest confessions from a cast of disgruntled creatives... and a chance to vote and have your say. Two sessions spread across the day on the themes of 'Community Building' and 'Developing Your Own Style. We have some very special speakers including Aleesha Nandhra, Jane Bowyer, Amber Akaunu, Fauziya Johnson, Kiara Mohamed & Helen Musselwhite. Kate Dawkins in conversation with Marianne Hanoun, staff writer at Lecture in Progress. The two will reflect on Kate's early beginnings and career journey, talking through her work, sharing the challenges she has faced and discussing what she has learned along the way. A continually evolving installation and online artwork that challenges the viewer to reflect on the idea of Britishness and nationalism. No two views will be the same so come and see this work with the creator Graeme Crowley in conversation. Resist! : How to Be an Activist in the Age of Defiance is a new book published by Lawrence King, we have an exclusive chat with Author Michael Segalov in conversation with Kaye Dunnings, Creative Director of Shangri-la (Glastonbury). Explore the ideas/concepts and realities of the future agency through tech relics and future AR, there will a few surprises and giveaways from the UNIFORM team. One Rule/One Minute/Create an Ad... come and test your skills with the OMB team. RareMags collect magazines so you can collect magazines, come and pour over delicious print and part some coin with exclusive DM merchandise. Drake Music North are leaders in music, disability and technology and a group from their DMLab will be showcasing some of their musical instruments for musicians with disabilities. Celebrate the noise makers, the pioneers and the inspiring creators. The unapologetically smart, funny, humble and inspiring. The ones with the business upfront and the party at the back. 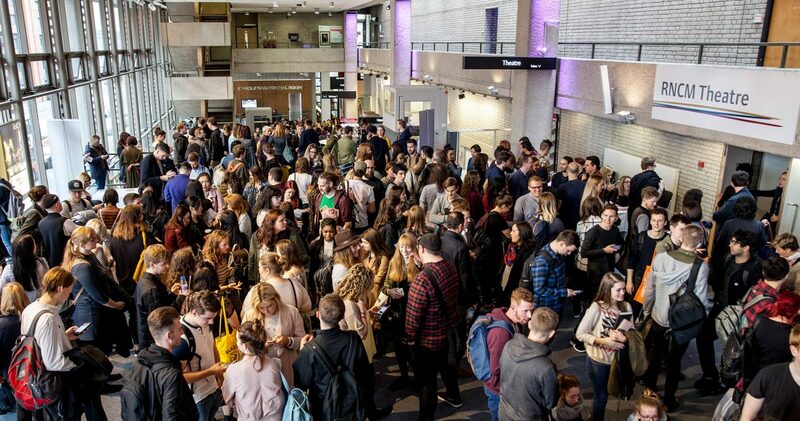 Now in its sixth year, this day long conference of ideas and inspiration features internationally celebrated and influential speakers showing an insight into their creative work spanning brand, architecture, film, typography and much more. We feel the time is ripe for a rumble, to hear and learn from disruptors from all fields and for us to forge our own creative paths in the face of a gloomy mediated future. 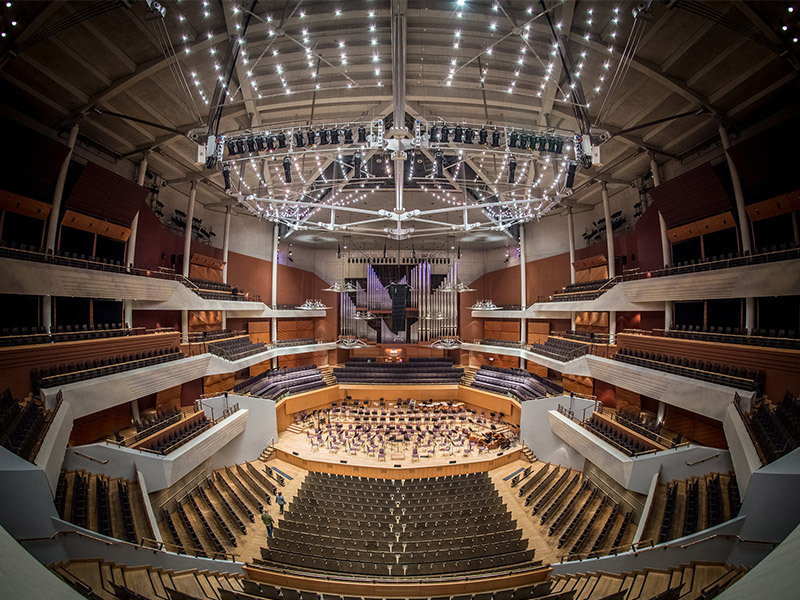 The Bridgewater Hall is an iconic central Manchester venue, built to give the best possible space for sound. The Hall hosts over 250 performances a year including classical music, rock, pop, jazz, world music and now it’s going to host creatives and the curious for a very special day. The Hall is home to three resident orchestras: the Hallé, the BBC Philharmonic and Manchester Camerata. The space is fully accessible for wheelchair users and the space offers Sennheiser infra-red hearing systems, please enquire if you need any assistance. 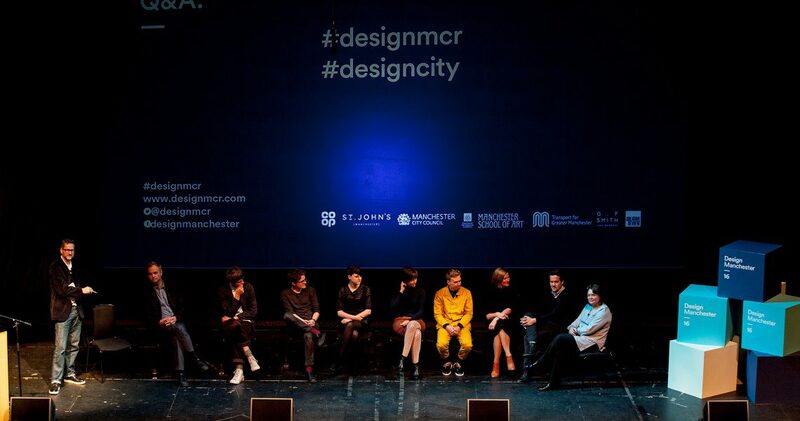 DM offers networking opportunities with industry practitioners to work with the next generation of designers to enable an easier transition from education into the creative industries, which has a big impact on the students learning experience and also adds to the reputation of the course and the University. Design Manchester is a unique experience each year, the careful curation and development from its founding years has developed into an essential date in the Hyper Island Calendar. We are proud to be able to support this amazing event and be part of. Its appeal lies in the teams understanding of the depth of different design fields and ability to find and host leading voices in those areas. Each year brings a new angle to ponder for industry practitioners, students and those just loving a toe dip in the creative waters alike. There is a limited quantity of early bird tickets so be quick! There will be plenty of breaks and the upper tiers will be open for people to come/leave freely and experience the other content inside the space. Designers / Architects / Creative Professionals / Educators / Students / Policy Makers / The Curious…D(isrupt)M is for everyone who has an interest in creativity and wants to be inspired. We do discounts for large groups/schools/colleges/Universities so get in touch. You can view more information on here about the Bridgewater Hall, it’s situated close to some old nightclub people seem to harp on about a lot. We’re partnering with an exciting new hotel in the city: more information will be released soon. There will be refreshments available to buy within the venue, you can bring your own packed lunch or there are plenty of other food outlets near to the venue for lunch.